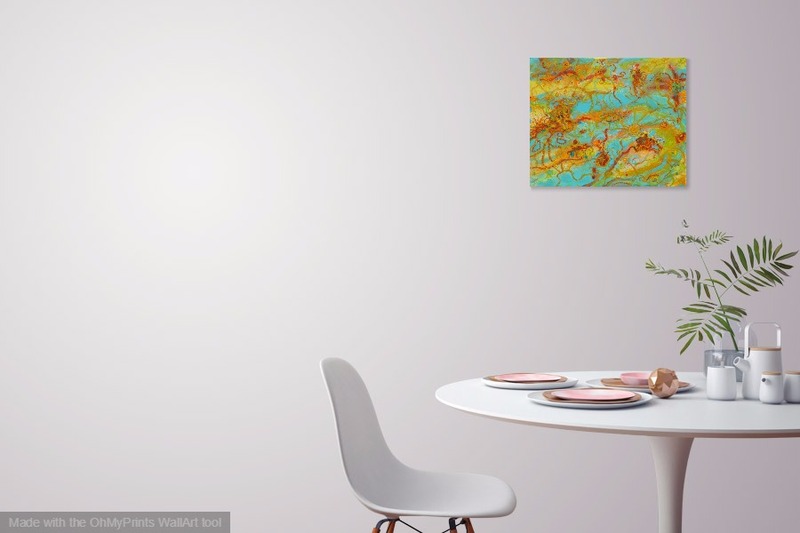 Abstract landscape art painting evoking the colours, patterns and textures of outback Australia. 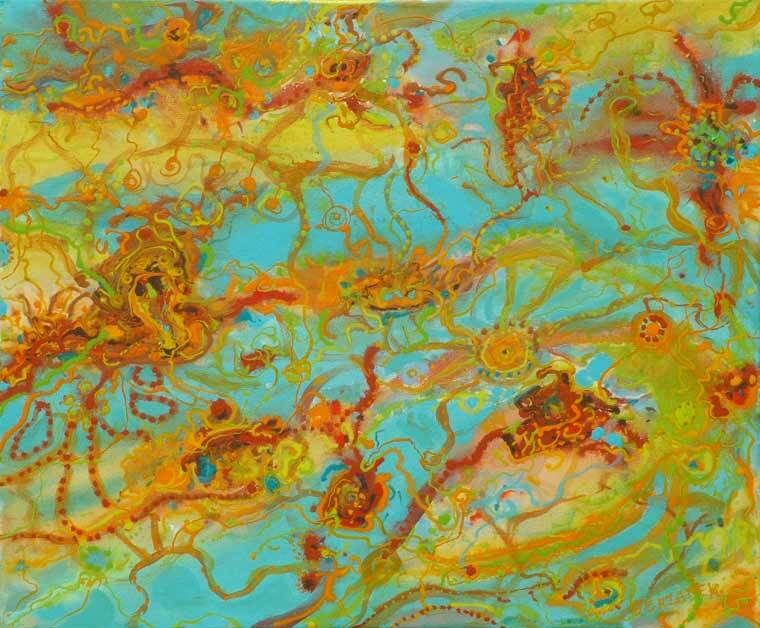 A free flowing, playful study in colour relationships using burnt oranges, yellows and greenish blues. Substantially intuitive: a very personal and subjective view of the landscape. A homage to John Olsen, the famous Australian artist.